These AOE Constructbots are a huge improvement over everything that has come before in the line. 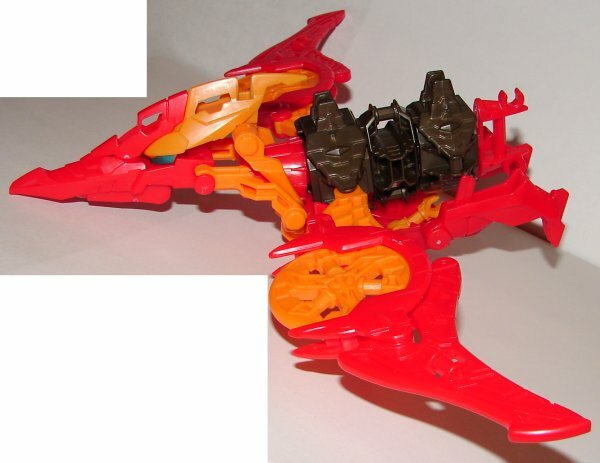 They have changed the transformation from the previous toys. All still have the same basic transformation, but the vehicles are much improved. Dinosaur Mode: I’m not sure what kind of dinosaur Wide Load is supposed to be, but I like it. 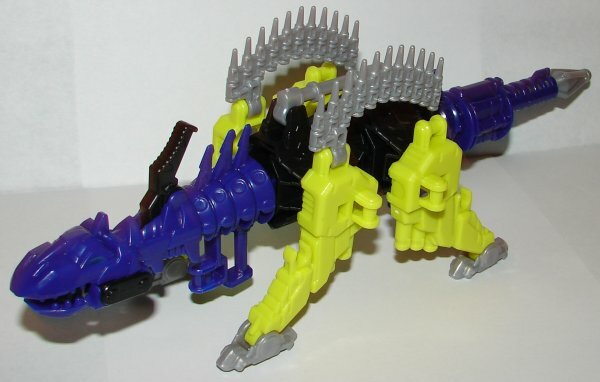 He has a missile stored in his tail that can be fired from his mouth. 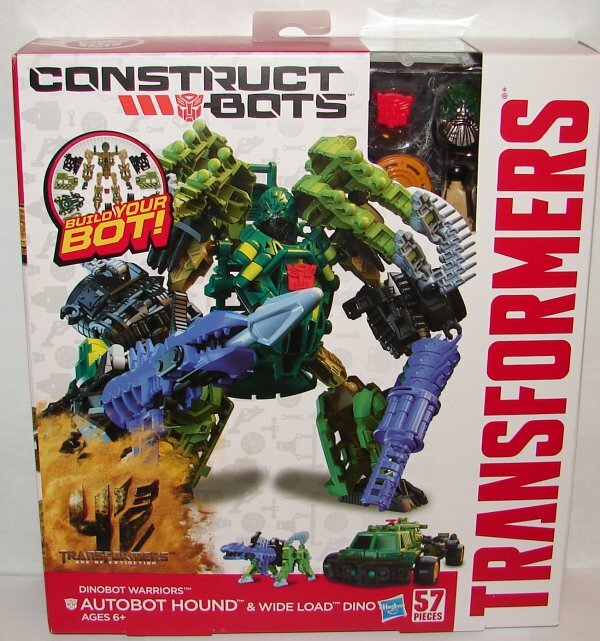 Vehicle Mode: Hound looks awesome, continuing the vastly improved vehicle modes over the original Constructbot vehicles. 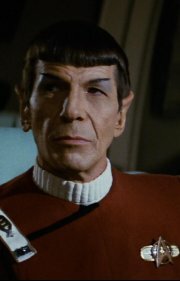 It’s just unfortunate that he lacks any weaponry at all. No guns, no knives, no grenades. That is a little disappointing. 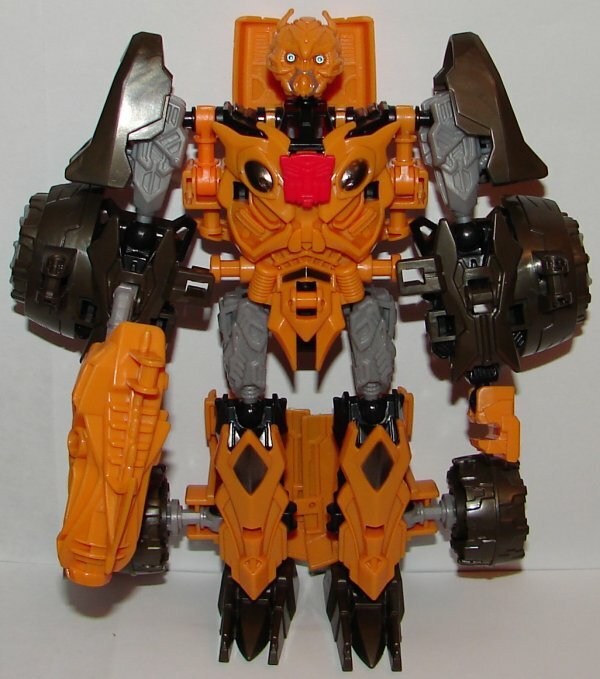 Robot Mode: I love his head sculpt, very cool. 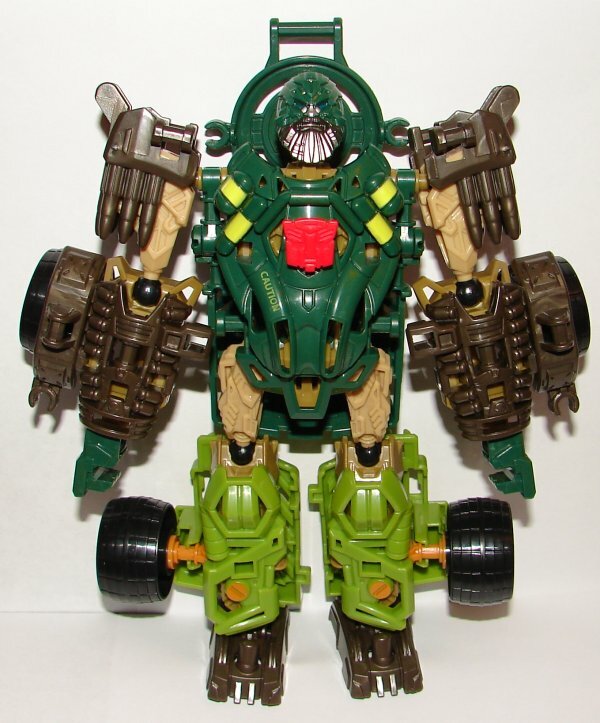 His robot mode looks good, but again, no weapon until you put on is dinosaur armor. 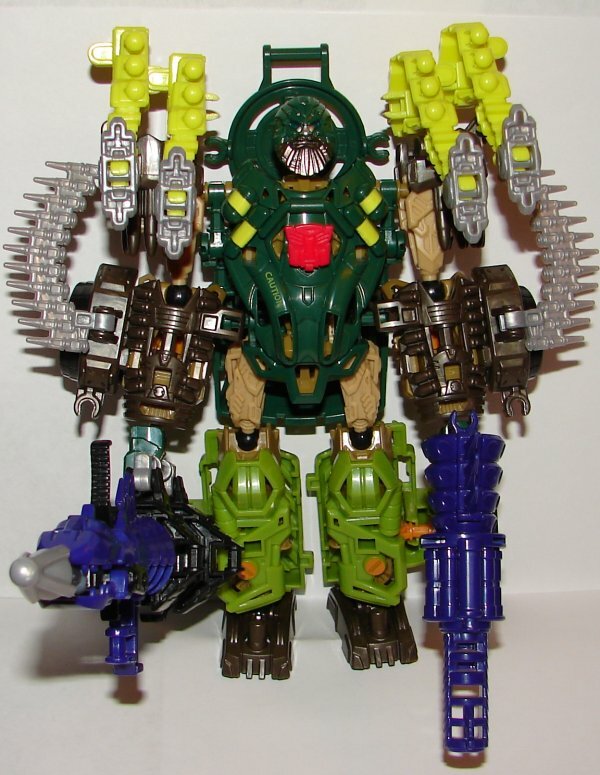 Basically the legs on his shoulders, the spikes (which look like bullets) go on his arms, and the rest becomes a gun and missile launcher. Dinosaur Mode: Very cool accept that you can’t put his feet under him and his head is heavy, so he pitches forward and sits on his nose. (Nosedive, maybe that’s why they picked that name.) 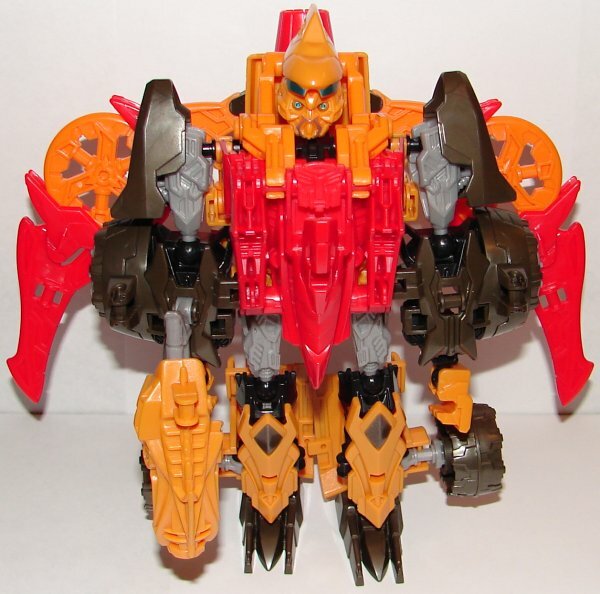 The orange disks in his wings launch. 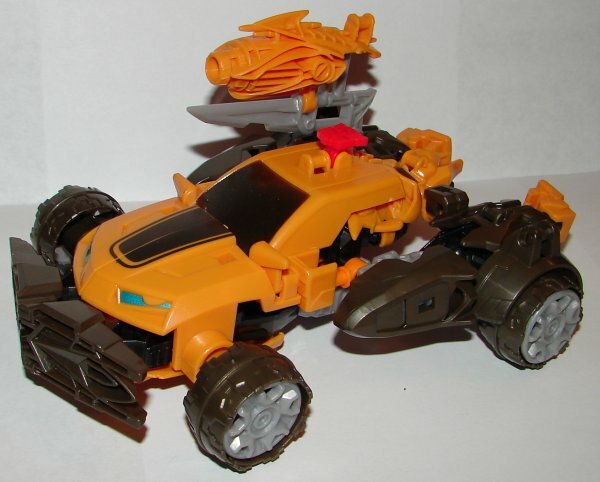 Vehicle Mode: He has a little bit of a Camaro look to him in the hood, which is more than the previous Bumblebee Constructbots have. Not too bad. Robot Mode: His head sculpt is nice but he seems to be permanently surprised. Not bad though. The armor is really just the wings and a chest plate/helmet. 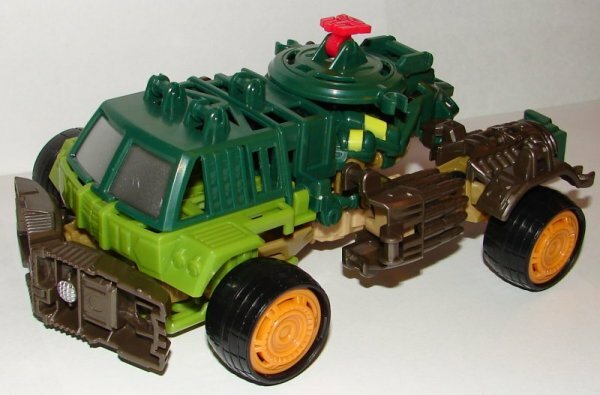 Probably the weakest of the five toys. Overall: Hound is awesome, Bumblebee is okay. 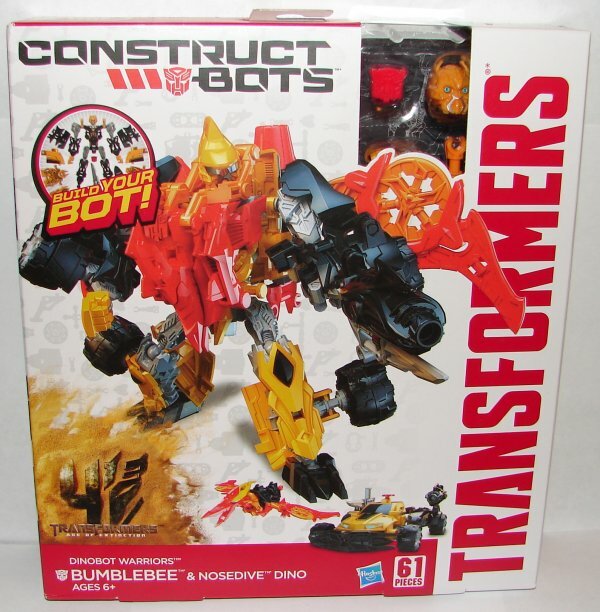 This entry was posted in Toy Reviews, Toys, Transformers and tagged Age of Extinction, AOE, Bumblebee, Construct-A-Bots, Construct-Bots, Constructabots, Constructbots, Dinobot Warriors, Hound, Nosedive, Toys, Transformers, Transformers: Age of Extinction, Wide Load. Bookmark the permalink.